Cardinal presides over vocation encounter after WYD. Published 2/1/2019. Local. 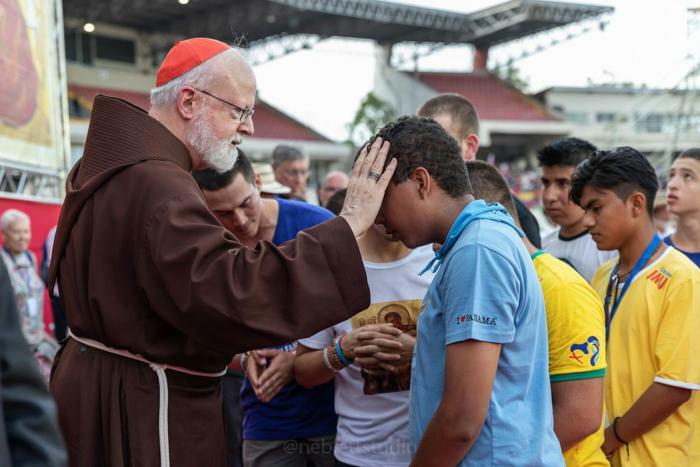 The day after Pope Francis told the youth gathered in Panama for World Youth Day not be afraid of opening their hearts to Christ, Cardinal Seán P. O'Malley presided over a vocational encounter with 25,000 young people from around the world. The event, organized by the Neocatechumenal Way, took place at the Rommel Fernandez Stadium in Panama City Jan. 28. It was attended by several cardinals and bishops, including the archbishop of Panama City, Jose Domingo Ulloa. Among those in attendance were 150 youth from the Neocatechumenal communities in the Archdiocese of Boston. During the event, Kiko Arguello, the initiator of the Neocatechumenal Way, invited the youth to consider God's call to the priesthood and religious life. "This encounter is providential, and it is going to change the lives of many of you," Arguello said. "Your lives will be transformed into an adventure, the adventure of helping Jesus Christ to save this generation." Toward the end of the meeting, 700 young men and 650 young women responded to a vocational call by processing to the stage, where the cardinal prayed over them and blessed them. After the vocational call, Cardinal O'Malley addressed the crowd and thanked Arguello for the gift of the Neocatechumenal Way, which is a "special grace for the Church." Speaking about Arguello's initial experience of spiritual conversion -- when he was a young man living in a shanty town in the outskirts of Madrid in the 1960s -- the cardinal said that his conversion has prompted many others to renew their faith through the Neocatechumenal Way. "This man is like a spiritual Panama Canal," he said. 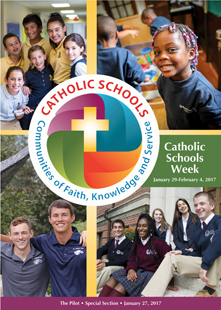 "Through the baptismal waters, he has touched the life of many dormant Catholics who have become renewed Catholics."